What do you give as a thank you gift to people for opening their home and welcoming you for a week and treating you like family. Simple. Give them something from the heart made with the hands. Yup, I made change purses with the bands from my last post. I’ve actually wanted to do an inkle change purse since I first learned how to weave inkle. The original idea and inspiration came from a great tutorial on Curious Weaver. My purses ended up being slightly different than her lovely purse, however. I sewed my bands vertically to minimize the amount of cutting and joined them by hand to be able to hide the join stitches. 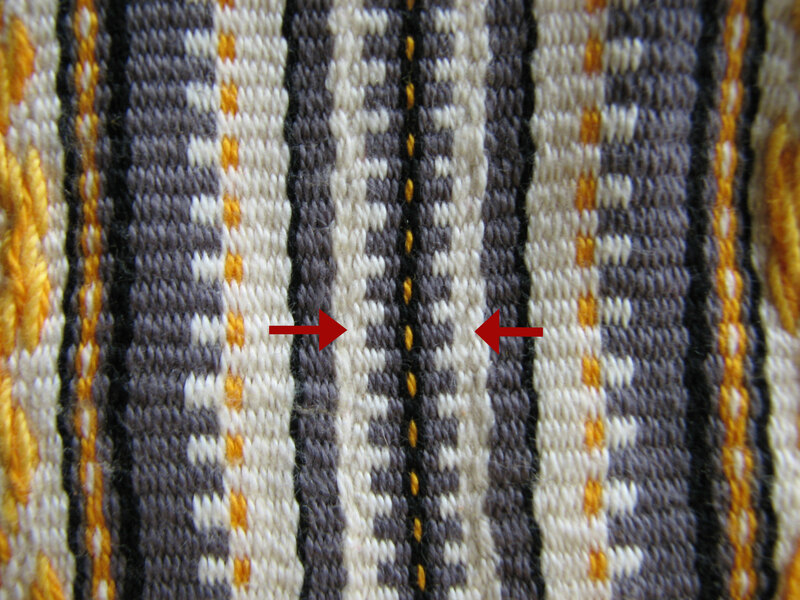 I used a blanket stitch to close the side seams. The purses are lined with cotton batik, which in hindsight I should have cut on the bias to allow for give inside the purse. My assembly method more closely follows the tutorial from U-Handbag. Both tutorials miter the corners to give a flat bottom and use a glue-in frame. 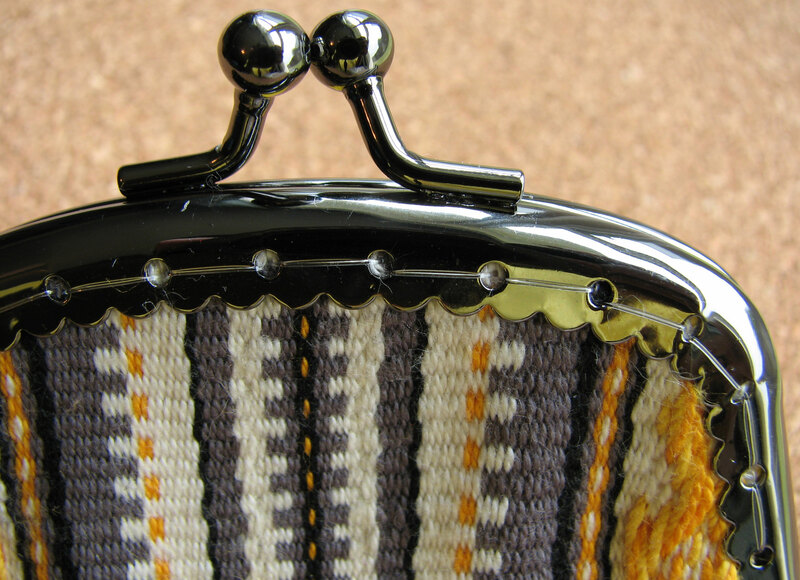 My purse frames are the sew-in type, stitched with nylon beading cord (think fishing line). -Very fuzzy yarn is not good for inkle weaving. You WILL end up cutting it out. 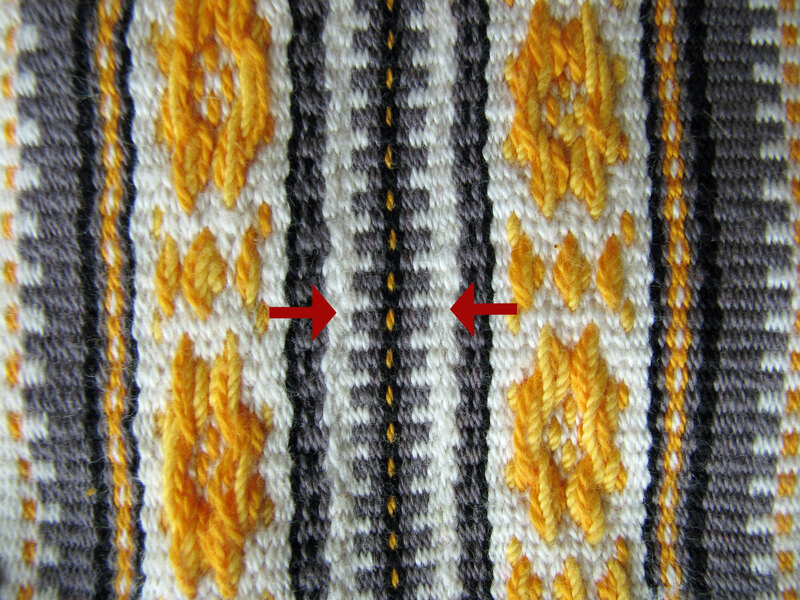 -Darker, thicker, contrasting yarn is a good idea for doing pick-up weaving when you are sleepy- easier on the eyes. -Once you get the rhythm of pick-up it goes faster than you think it will. It can take a while to get a rhythm. -Measuring accurately prevents a lot of headaches. 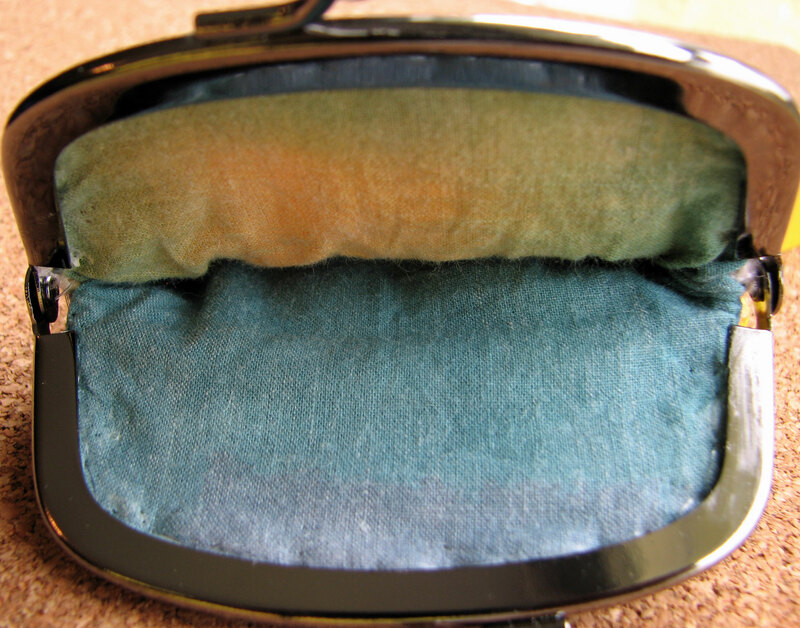 -The trick to sew-in purse frames: the needle needs to be inserted at an angle. I have one more gift to make, which hopefully, I’ll be able to get to this week, between the diaper changes and feedings of one and the potty training of the other. Stay tuned. It was great to see you too. Hopefully we’ll meet again before the next Florida Tropical Weaver’s Guild conference! Thank you! Now that I know how to make them, they may become my go to gift to make for people. They were really fun. would you be able to share where you got the closers? I have looked but am unable to find any. Hi Kelli. 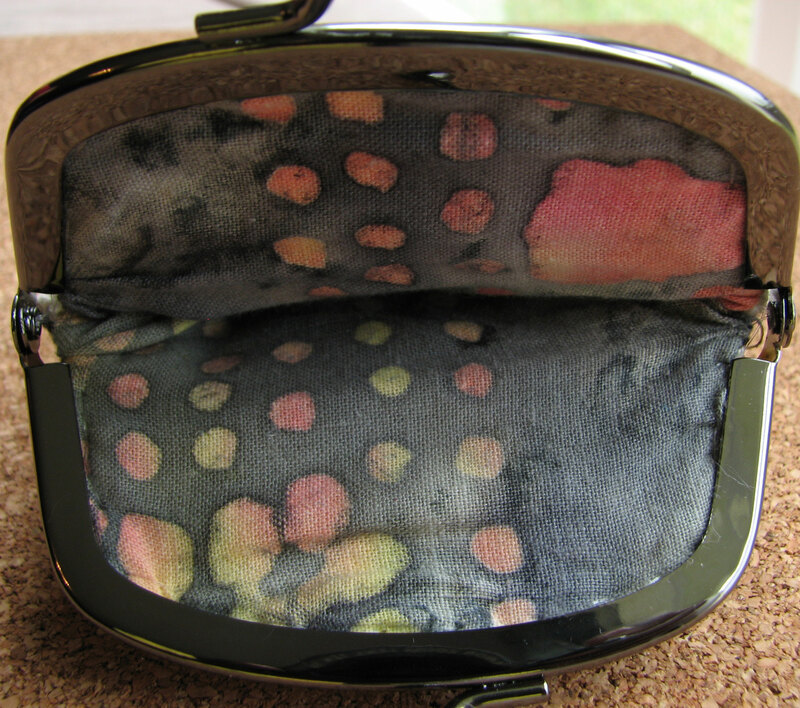 I got my closures/ purse frames at Joann Fabric, a huge craft and fabric store chain here in the states. I’m not sure if they sell them online. But, the link in the post for U-Handbag sells purse frames also. She sells the no sew kind. Hope this helps. Let me know if you have any more questions. Beautiful! My mother in law gave me an inkle loom for my birthday and I am hooked! 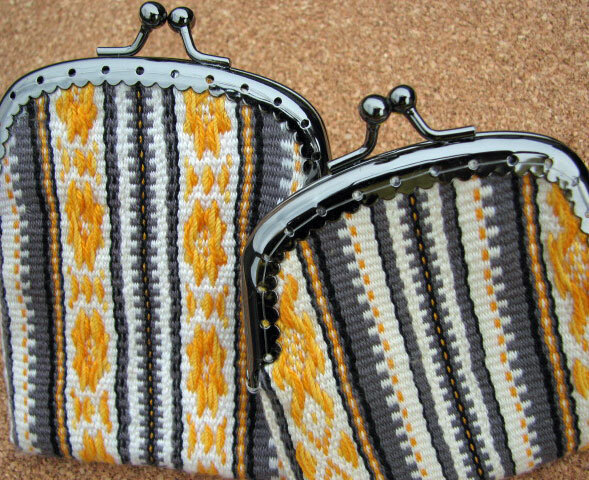 Just on my fourth band but my goal is to make her a coin purse as a thank you for introducing me to inkle weaving! Love your ideas! Beautiful work! Pingback: Tkanie a medytacja, czyli co to są te krajki? – Stowarzyszenie na rzecz Promocji Kultury i Rzemiosł Dawnych "Wici"